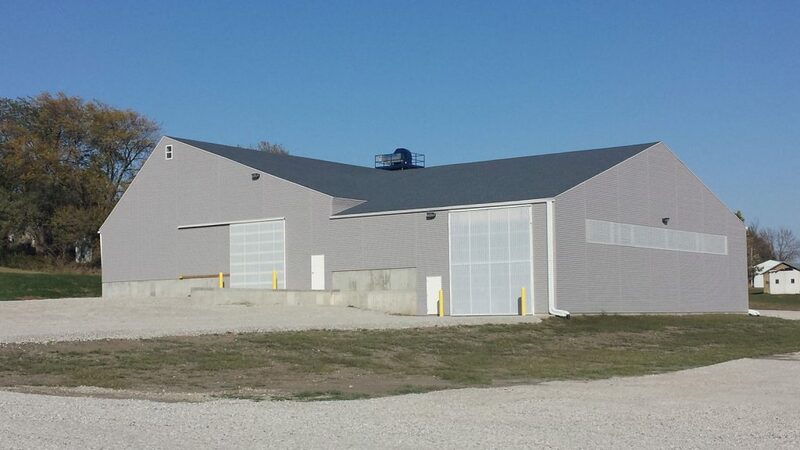 Located in southwest Iowa, 21st Century Cooperative needed a new fertilizer facility to better serve its customers. The tired, dry-fertilizer facility built in the 1960s was no longer meeting the company’s needs. The old facility had very slow in-bound and out-bound capabilities when the spring rush was underway. Our client reached out to us looking for ways to improve their infrastructure and efficiencies. We analyzed their site assessment, determined right sizing the plant, identifying bin needs and sizes, blend system needs, etc., says Steve Anderson, Vice President of Sales & Marketing. Listening to their needs we came up with a 6-bin, 1,500-ton facility. We have the ability to expand their building in a future phase. 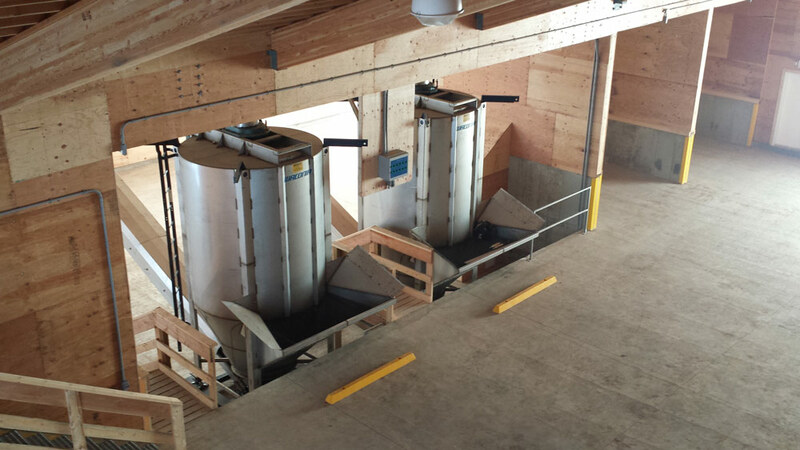 Key features of this facility are an alleyway that is 30’ wide, with two smaller dry storage bins positioned on the front alleyway wall for bagged or bulk material. 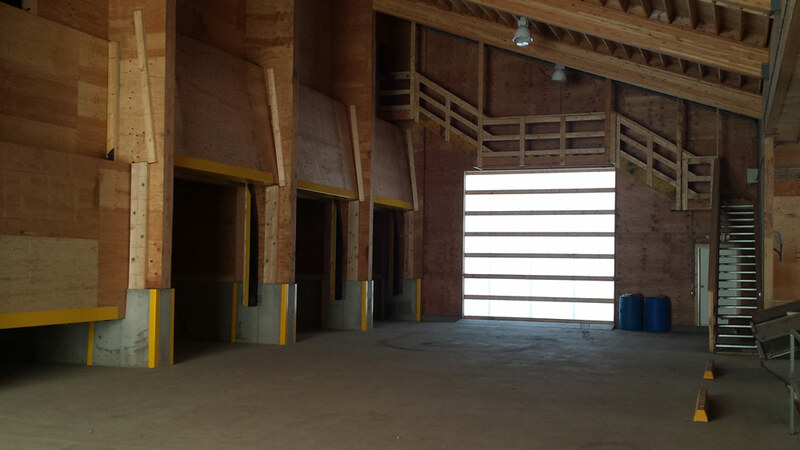 The single bay load out is 48’ x 84’ with bi-fold doors. 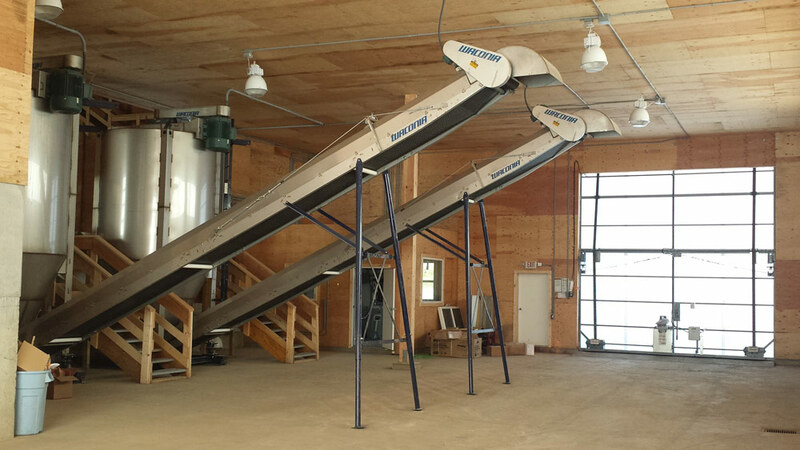 A 30” elevation differential between the bin area/alleyway and load out is a great feature that helps lower the hopper height for their two 10-ton vertical blenders. Another important feature is their 21’ x 50’ enclosed truck receiving area with bi-fold doors. This helps ensure that all in-bound dry fertilizer can be loaded into the building under any inclement weather condition. This building is also equipped with 150 TPH in-bound truck receiving capability.